Over the past year John Borger, recognized on the scene as Borgeous, has continued his ascension up the ranks as Los Angeles hottest new talent to hit house music. The Miami-born, Los Angeles transplant is making waves as an EDM (electronic dance music) producer and DJ. Borgeous’ beats are an energizing fusion of electronic dance music and bass-heavy remixes of crowd favorites. “I have a love for this music. 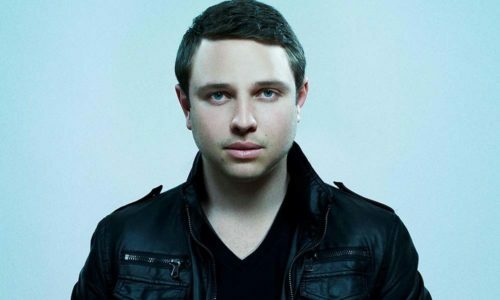 Borgeous’ immersion and familiarity with the nightlife industry through Boulevard Nightlife Group, coupled with his Affinity for house / electronic / dance music have paved the road for his break into the music industry in early 2011. His keen ear and innate talent to produce a provocative, textured sound have made people take notice and allowed him to collaborate with great artists such as The Cataracs and Taylor Bird. He has already begun to establish himself on the local forefront by garnering a solid following and regularly performing at high-profile venues like Supperclub Los Angeles, Avalon Los Angeles, Infusion San Francisco, Roxbury Hollywood, Tru Hollywood, and Vain Orlando. To further his brand, Borgeous released his podcast, I AM BORGEOUS — showcasing his vision and creative style in the remixing of music in late October of 2012. Solidifying a new generation of house music, his latest song, “Serenity” debuted in early November to much acclaim. Music enthusiasts and club-goers alike gravitate to his blast-worthy beats. Borgeous aims to satiate discerning music cravings with his work behind the decks and in the studio, and is quickly becoming a name synonymous with high-powered, unique mixups and a great time. Make sure to keep up with Borgeous’ music and upcoming events.